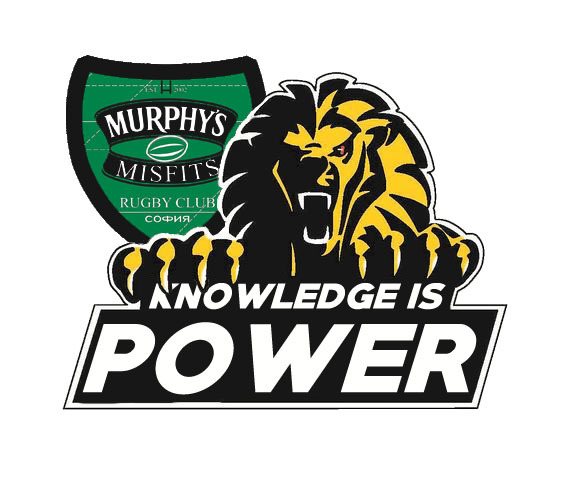 the club’s committee is happy to announce the Murphy’s Misfits Charity Touch Rugby Tournament 2016 under the motto KNOWLEDGE IS POWER. This year we will have our 13th touch rugby fiesta with a noble cause. We are teaming up with the Cedar Foundation once again to bring fun times to all rugby aficionados in Sofia and to provide better education to disadvantaged teenagers living in one of The Cedar Foundation’s family-type houses in Kazanlak. With your help, collected funds will be invested in tutoring and educational materials to improve these deserving kids high school performance. As always, this year’s competing teams will be formed on the day. During the registration phase, team captains will lead touch rugby workshops in order to teach all newcomers the rules and the basics of our favorite sport. Everyone is eligible for participation in the tournament no matter of rugby skill, physical training, age or gender. Due to safety reasons there is a minimum age requirement – 12 yo (all underage participants must have an attendant). Besides the tons of fun every player will get a complementary t-shirt with a great design. There will be a minimum entry fee of 15 lv. Please, keep in mind this is a charity event and 100% of your entry fee will be donated – the more the better. Foods and drinks (yes, beer!) will be served around the venue and all the revenue will be donated, as well.